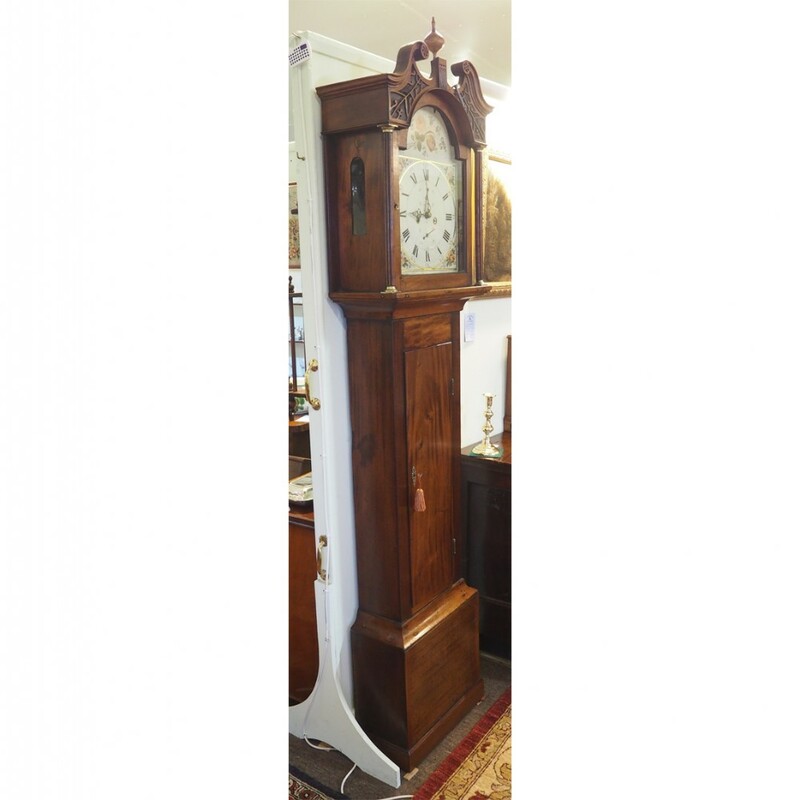 Late 18th century Scottish mahogany cased 8 day duration longcase clock. 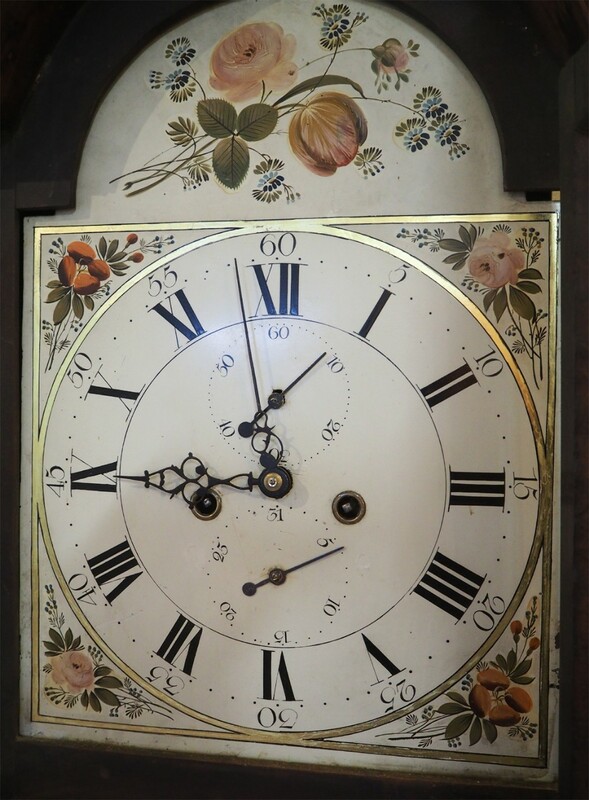 The earliest type painted dial is simple and very pleasing as the early painted dials were. 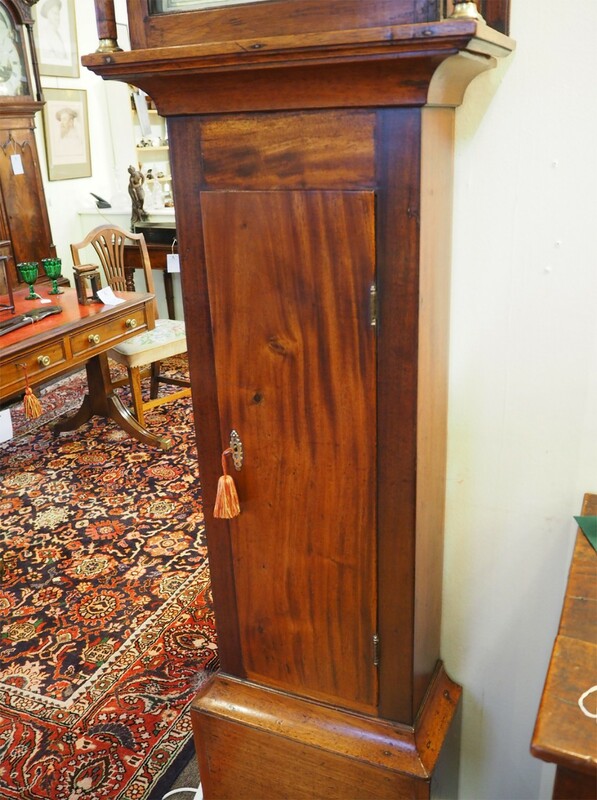 The solid mahogany case has a long door to the trunk, plinth to the base and a swan neck top to the hood. The hood part with fretted design to the top with original carved mahogany patera and gilded finial. The hood has reeded columns to the sides and side windows for seeing the movement. The movement, dial and case are all original to the clock. The movement has been fully cleaned and serviced and as such is in full working order. 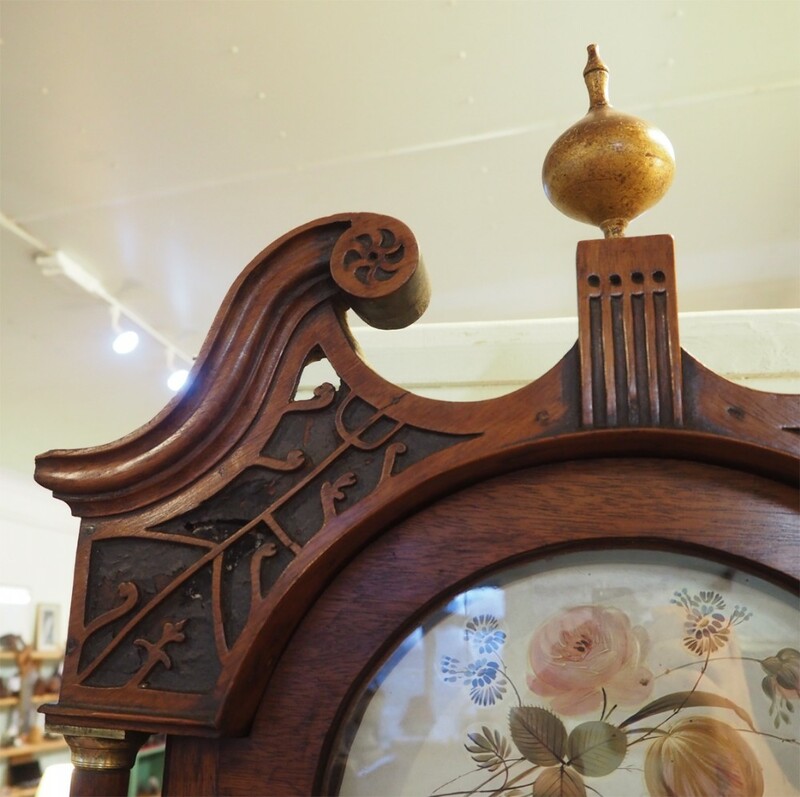 The clock comes with its original engraved brass pendulum and cast iron weights. 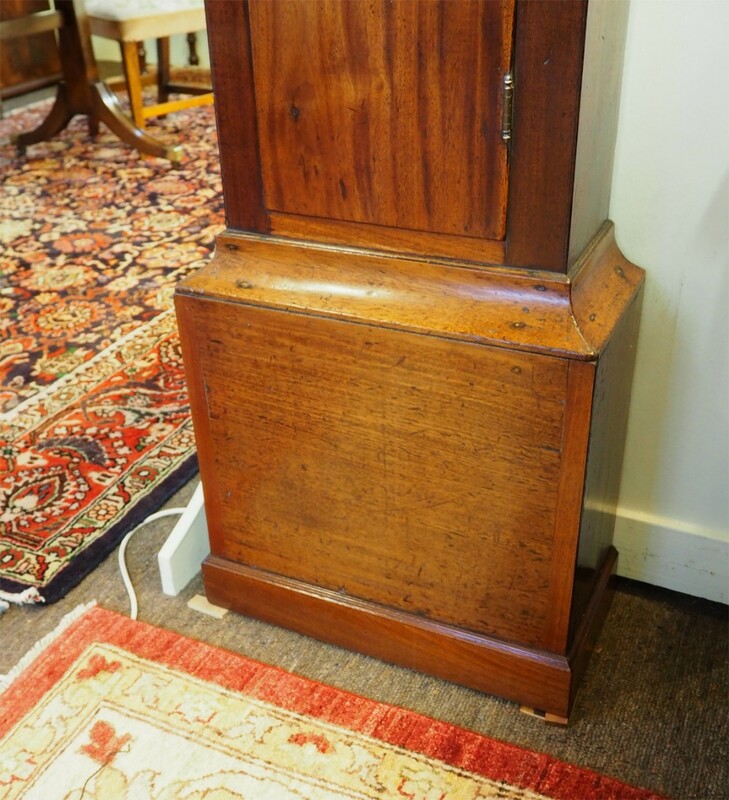 The case has had some restoration over the years but nothing serious. 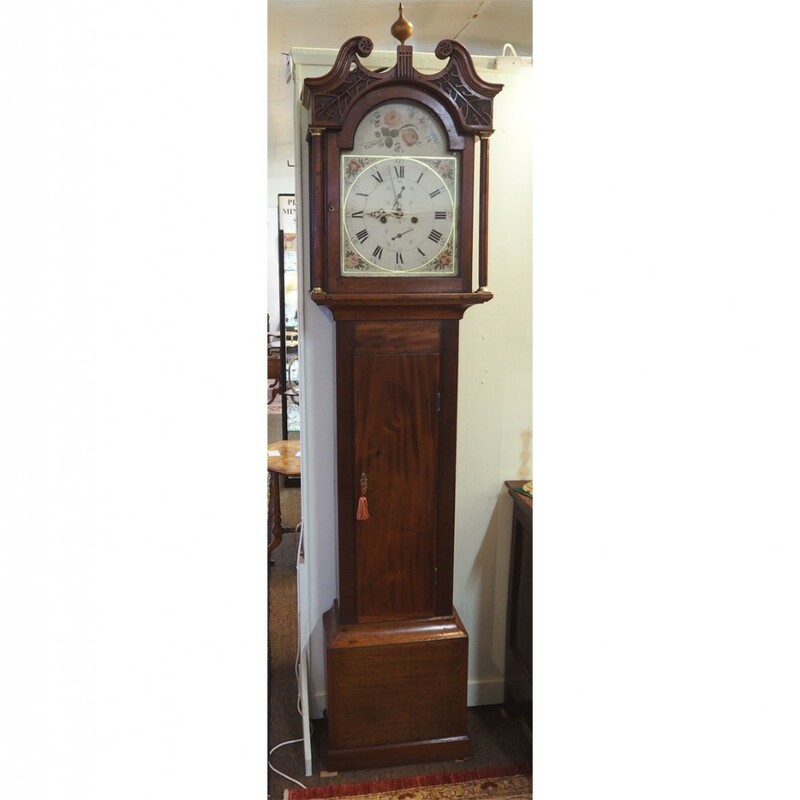 The case is a very pleasing mellow mahogany colour with waxed finish. 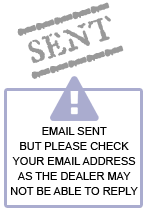 SIZE; The sizes given are the maximum sizes. 19 1/2" wide by 10" deep by 88" high overall including the finial. The clock has a 13" dial. 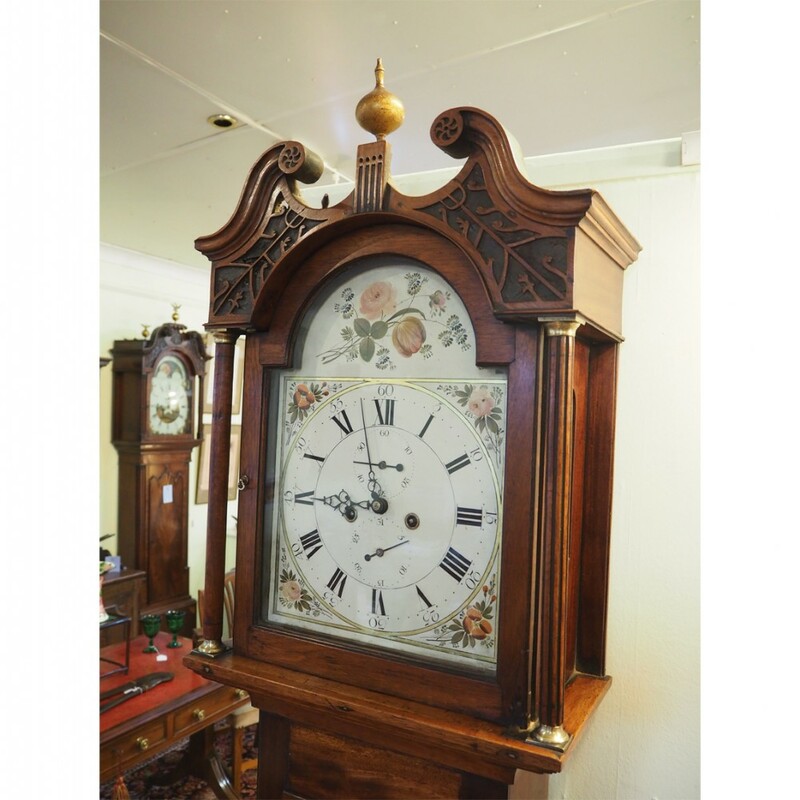 The EARLY SCOTTISH 8 DAY LONGCASE CLOCK has been added to your saved items.